Home > Family Finances	> Can credit card debt management help you to save dollars? Can credit card debt management help you to save dollars? People in this part of the world are used to using credit cards rather than cash for their day-to-day expenses. The proportion of credit use is far more than their retirement savings. Credit cards have given them immense portability and convenience to make frequent purchases. However, this has given rise to several financial diseases which is affecting the fragile US economy. One of the major setbacks is the accumulation of credit card debt. This makes it imperative for the people to know the ways of credit card debt management to avoid getting into a financially sticky situation. Transfer your credit card balances – This means transferring all your multiple credit card balances into a zero interest credit card. This may be for a year or so as offered by the credit card company. This creates a great opportunity to clear out all your outstanding bills within the promotional period. In this process, you’ll be paying for the principal balance and not for the interest. However, there is a transfer fee for this procedure which hovers around 3-5% of the balance amount. By this method, you’ll save a lot of money even after paying the transfer fee. Create a budget: Start developing the habit of spending less. Vow to start living a frugal life. This is because the more you spend on useless things, the less you save. Therefore, to fight back such irresponsible behavior, plan a budget that will be comfortable for you to follow. Keep in mind that this budget should not become a burden for you; instead it should motivate you to spend smartly and save money for the rainy day. Use those savings towards debt repayment and you’ll see a remarkable decrease in the number of outstanding bills. Lower your interest rates: This is one of the most effective steps in the credit card debt management plan. Be vigilant and do your market research to learn about the recent market offers which various creditors are making. After a getting a thorough knowledge of the market offers, contact your current creditors. Request them to lower your card’s interest rate. The creditors will welcome this sort of gesture from you and will readily oblige. If you’ve been a good customer who has been punctual in making the payments, then the creditors will surely consider your request. During the negotiation phase with your creditors, tell them that you are considering balance transfer as an alternative to lowering the interest rate. This will give them the necessary nudge to accept your terms. This article was written by Grace Ruskin. Grace is a financial writer and is associated with DebtCC Community. 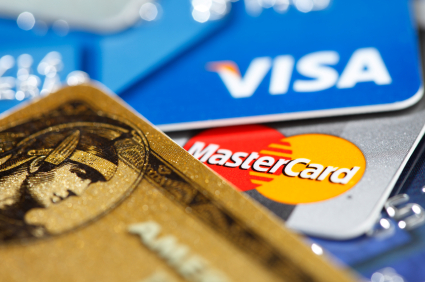 Transferring credit card balances around may have a negative effect on your credit rating. One must be careful about how many cards they have, what the balance on those cards is and what happens when you apply for a new card. Family, Faith and Finances Is the Unemployment Rate Misleading?